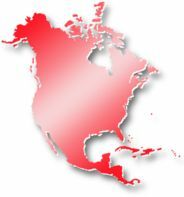 We provide information to connect buyers and sellers of intermodal, import/export transportation services in North America. Our goal is improve equipment utilization by exchanging information on loads, trucks, and equipment. To do this, we gather capacity information (truck power with empty equipment, trucking power only, and empty equipment without truck power) and match it to available loads using parameters which make our service unique. We have three main customer categories who use our service: Third-Parties which include intermodal marketing companies (IMC's), freight forwarders, freight brokers, and beneficial owners. Motor Carriers which include over-the-road and drayage truckers. Equipment Suppliers which include asset owners such as leasing companies, railroads and ocean lines. If you are one of these, we want you as a LoadMatch logistics service provider... sign up today. NOTE: LoadMatch does not sell, rent, loan, trade, lease, or otherwise transfer any personal information collected on our site to any outside party. Your email is kept private. Please view our Privacy Statement. Our valued partners are dispatch and transportation software suppliers who provide applications to run day-to-day operations. These software companies and LoadMatch share common customers. LoadMatch will eagerly support these companies in providing integration with their product to exchange information with LoadMatch. LoadMatch was created by Jason Hilsenbeck after experiencing several years in dispatch operations for a Chicago-based, third-party provider of intermodal marketing and brokerage services. LoadMatch was incorporated on January 18, 1999, and the original www.loadmatch.com web site was released to the Internet May 19, 1999. The future indicates companies will continue to share more and more information with their customers, and we will be leading the way for intermodal transportation providers. Thank you for researching LoadMatch. We hope you will consider our website a valuable resource of information and make it a part of your daily routine.